Joules is one of those brands that I've always been aware of, their vibrant prints and classic style is pretty much the epitome of the British countryside. Rightfully so, Tom Joules started the brand selling at equestrian events, before expanding with a pair of pink wellies into the beautiful colours and prints they are known for today. 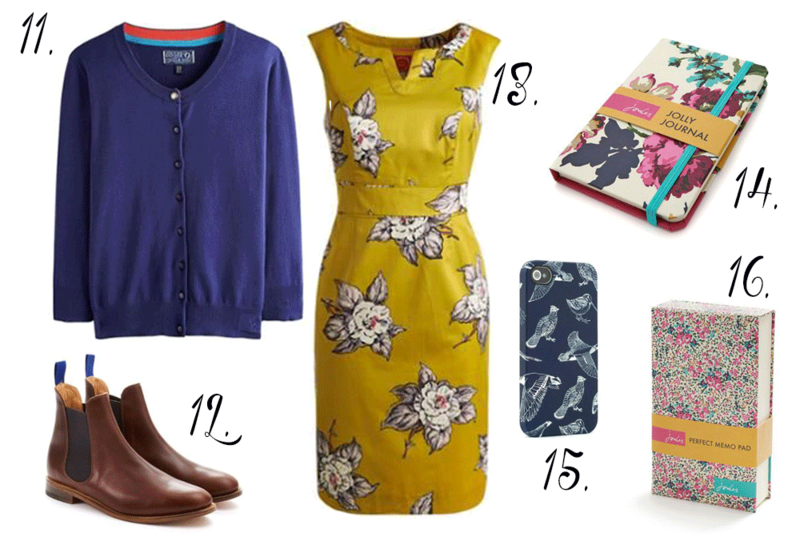 Their Summer collection this year has a plethora of beautiful floral dresses that could keep you happy all year long along with their damn fine wellies and, new to me, iPhone cases. I was originally going to put one summery outfit together but there were so many lovely things I ended up with a couple of themed ones. The first would make a gorgeous dog walking outfit, the yellow coat is a perfect bright yellow for those Scottish Summer showers and the bag is the perfect size for dogs leads, balls, bags and treats with enough space for my camera too. 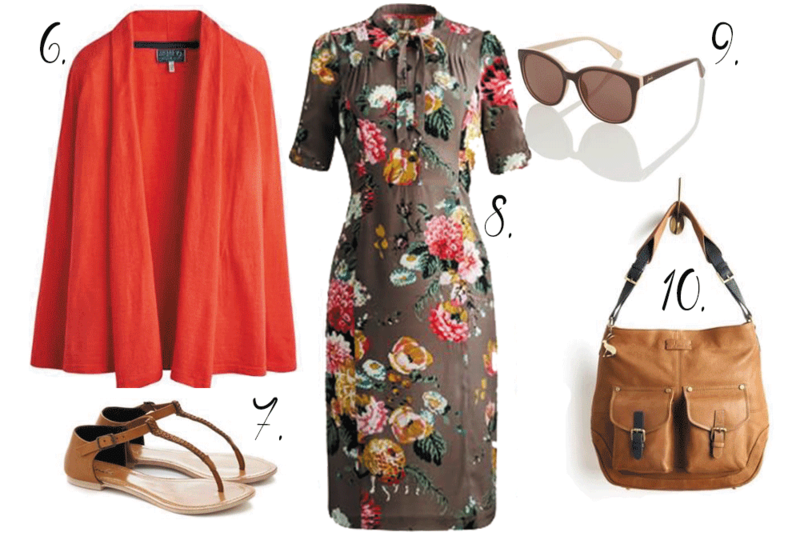 Secondly we have a beach day outfit - sandals so I can go paddling, sunglasses and a nice draped cardigan if it starts to get a bit cool. Last off we have my dream work outfit and accessories, including floral print diary and memo pad so I can keep up to date. 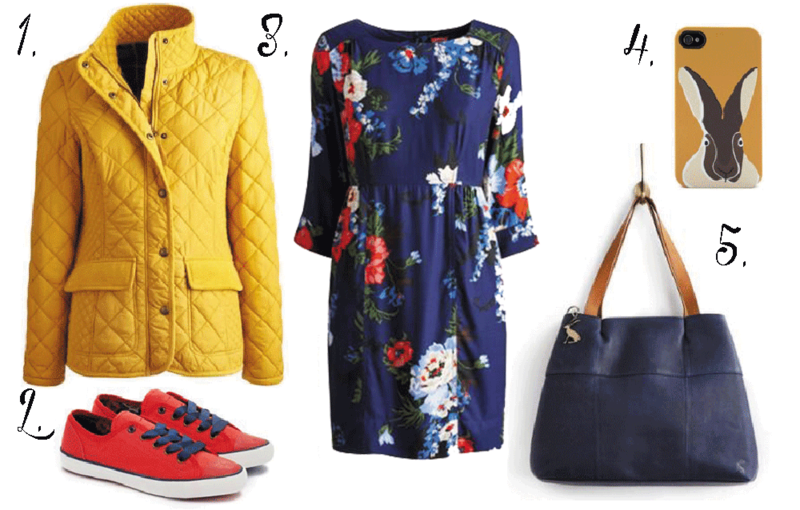 Joules have also created a lovely video showing off some of their latest collection, which you can check out here. Watching it is making me super excited for all the Summer parties coming up. I've got my fingers crossed the weather will stay nice this weekend so I can go up to the Meadows Festival tomorrow and soak up the sun and the atmosphere. Hope you are having a fantastic Friday! Thanks so much for taking the time to read my blog, and even more for taking the time to comment. I read and appreciate every single one. green haired and tattooed 30 years old living in Edinburgh. Dog obsessed, acne suffering, history loving, feminist. Also I blog sometimes.